Visit England has refused to give Welcome to Yorkshire any of the money set aside to boost British tourism, because it said Yorkshire is ‘not a destination’. Welcome to Yorkshire, which supports tourism in the region as a whole, has complained to the Government over the decision, claiming that Cumbria, Northumberland and Cornwall have all benefited from the Regional Growth Fund, so Visit England’s reason does not stand up. Before any proud Yorkshire folk get too irate about there being no funding at all, Visit England has allocated £500,000 each to York and Leeds to help with promotion. However, as anyone in the county will know, these two cities are not all it has to offer. Proof of this must be in the gold medal Welcome to Yorkshire won in the World Travel Awards earlier this year. 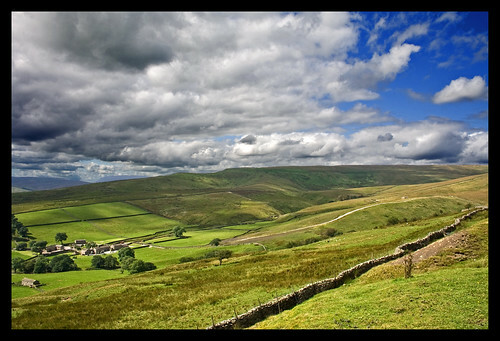 Welcome to Yorkshire claim it has boosted the visitor economy from £5.9bn to £7bn and created 4,000 jobs. It also claimed that last week, the former culture secretary Jeremy Hunt singled out the county as “an excellent holiday destination”. What do you think to Visit England’s decision? Is it fair? Please post your comments below. Don’t forget to visit Holiday Cottages for a huge range of holiday lets in Yorkshire. This entry was posted on September 6, 2012, 7:33 pm and is filed under Cottages Search, East England, family days out, Group holidays, Holiday advice, News, Tourist Board, Yorkshire. You can follow any responses to this entry through RSS 2.0. You can leave a response, or trackback from your own site.